Hi, friends! I have three goodies for you today. 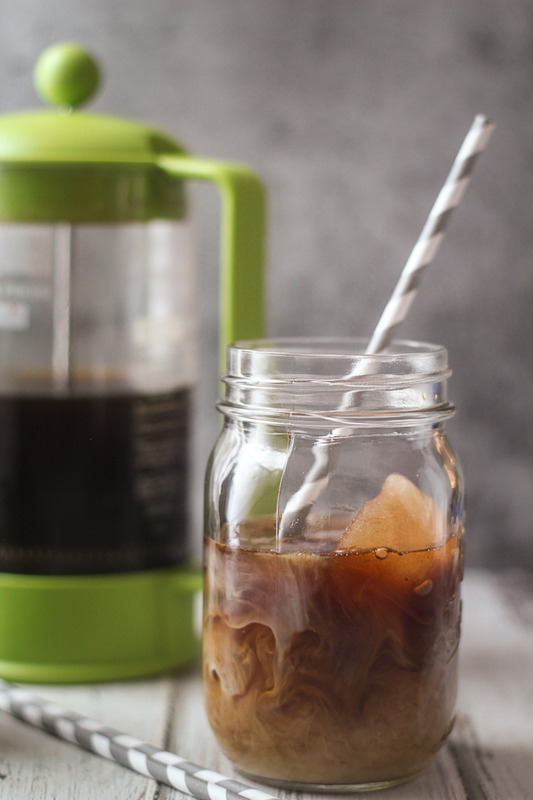 The first, is my super easy and awesome recipe for Cold-Brewed Overnight Iced Coffee made with Silk Coconutmilk. Ready? Recipe, engage! 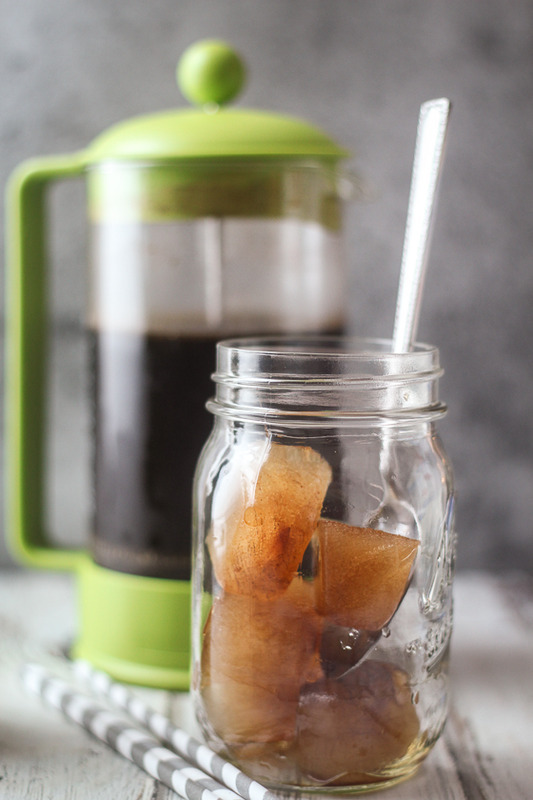 Now that Spring is almost here, I’m officially making the switch over to Iced Coffee for my morning cuppa. 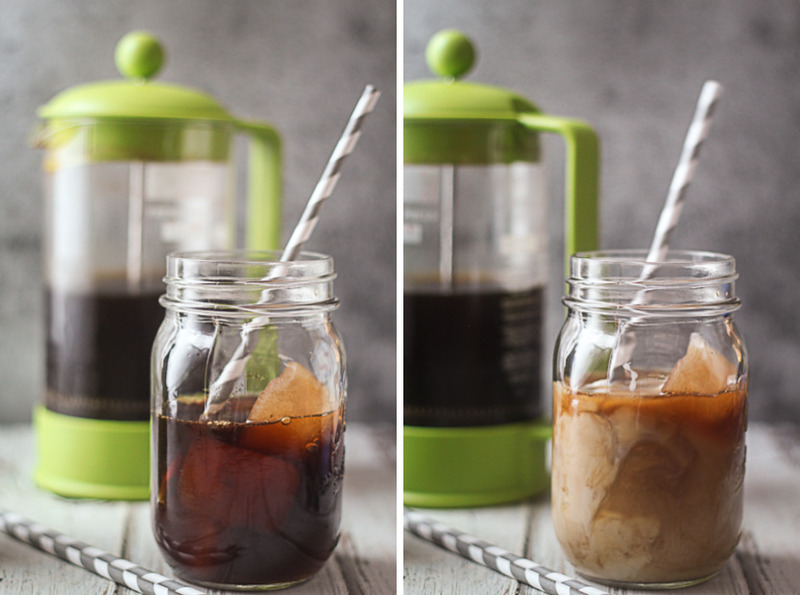 I love using my French Press to make Iced Coffee – it really couldn’t be any easier! Mix together coffee grounds, sugar, and water in the French press. Put it in the fridge and leave it overnight. Serve over ice with plenty of Silk Coconutmilk. 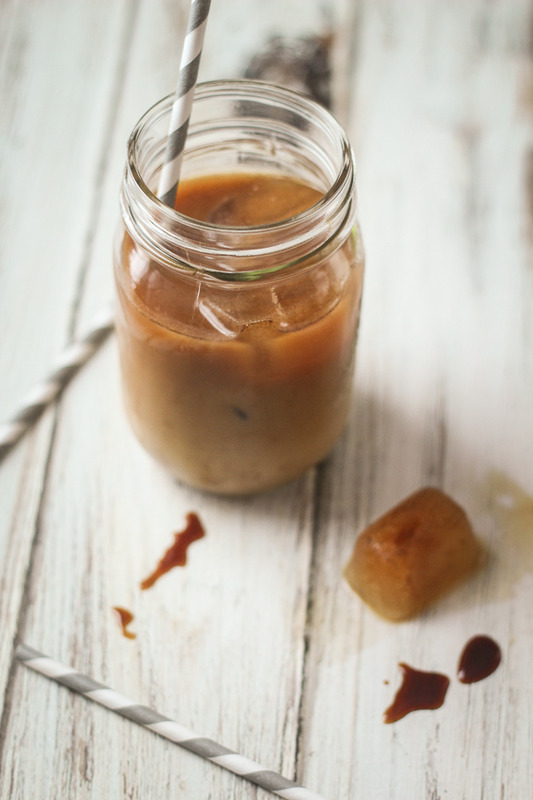 Sometimes if I know I’m going to be in need of extra, extra strong coffee I even freeze some leftovers in an ice cube tray and use them in place of regular ice cubes. The ratio of coffee, sugar, and water is really based on your taste preferences and how strong you like your coffee. In general, you’ll want to use about twice the amount of coffee grounds you normally use for a hot brew. 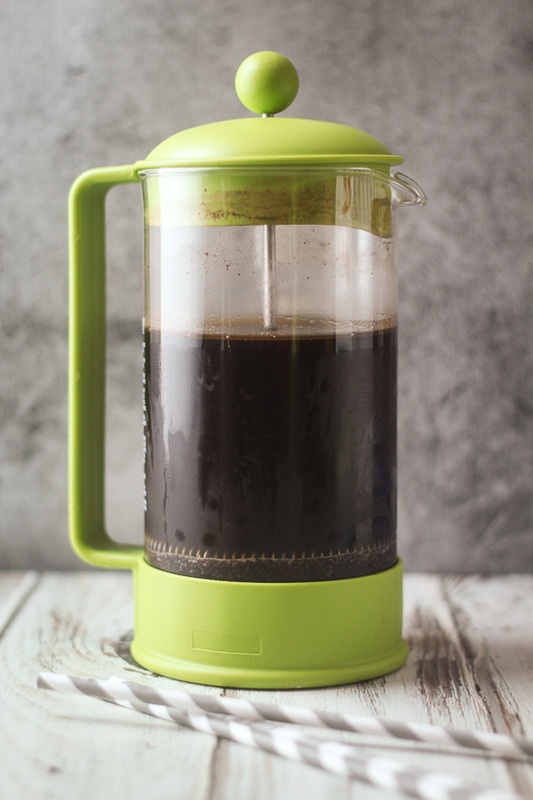 For my French Press, which holds 34 ounces, I use 6 tablespoons coarse grounds hot coffee and 12 tablespoons coarse grounds for iced coffee. I like my coffee sweet, so I usually add about 4 or 5 tablespoons of sugar to the mix, too. The second thing I want to share with you today is a story about my own experiences with Silk. Once upon a time, I was a HUGE milk drinker. My parents always encourages my three sisters and I to have at least one glass with every meal. I didn’t understand why someone would bother drinking soymilk or coconutmilk unless they were lactose-intolerant and simply couldn’t. Then, one night, a few years ago, aliens invaded my closet and shrunk all of my clothes by four sizes. Bizarre, right?? I mean, that must have been what happened. Certainly I couldn’t have gained sixty pounds without noticing it. Oh, except that I did. I finally broke down and cried in a changing room when I couldn’t fit into size 12 pants. In my head, I had always been a size 4. I knew it was time to make a serious change so I could get healthy and get back to feeling like myself. One of the first things I did to change my diet and get healthy was to start having breakfast. I did my research, and found that Silk Coconutmilk has fewer calories, more calcium, and more flavor than the traditional dairy milk I was drinking. I picked up a carton of Silk and swapped it out for dairy milk on my cereal and in my coffee and smoothies. Cutting out these extra calories was so helpful, and the flavor helped me feel more satisfied by my meals. Silk helped me bloom into a healthier version of me; six months and sixty pounds later, I was healthier than ever. It’s been almost four years since I started my weight loss journey, and I’m proud to say that I’m still in my size 4 pants! Nowadays, I always have a gallon of Silk in my fridge. I switch it up quite a bit between the soymilk, almondmilk, and coconutmilk varieties, but I think my favorite is the coconutmilk. I know you guys totally saw that coming because I’m a complete sucker for anything coconut flavored. Finally, the third goody I have for you today is a COUPON. Bargain-hunting FTW! 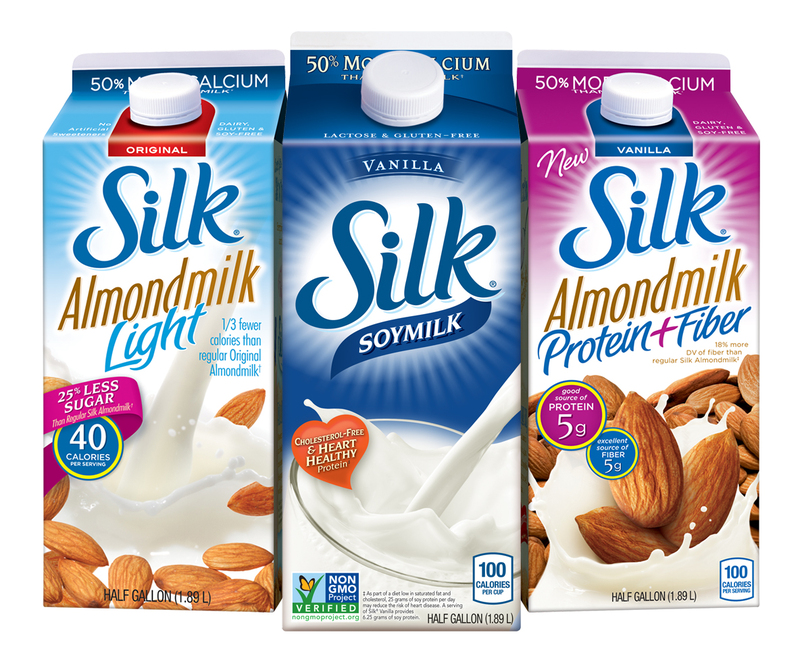 All you have to do is click the link below to request your coupon and you’ll receive $0.75 off a half-gallon carton of Silk. 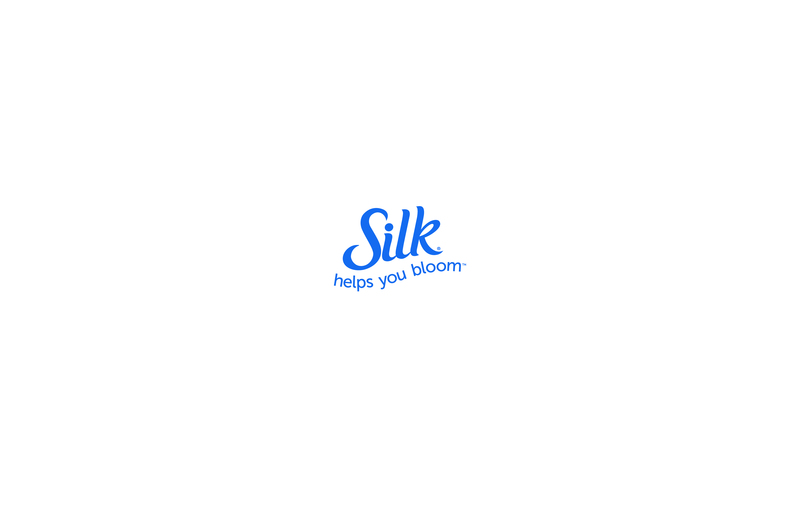 You can register to receive emailed coupons and be updated on special offers like the chance to win a year supply of Silk products! You can also keep in touch with Silk by following them on Facebook. Thanks so much for reading, friends. It means a lot to me that I can share my personal stories with you and tell you about products I use and love! Hi. I don't understand about making iced coffee. You really soak the plain grounds in the Silk milk overnight. It isn't brewed first?